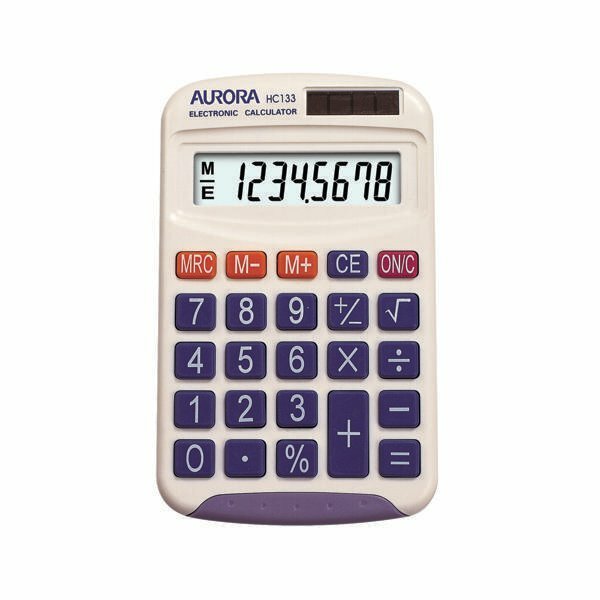 This robust Aurora HC133 pocket calculator is ideal for primary school students in Key Stage 1 and 2. 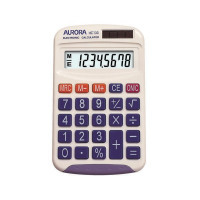 The calculator features a clear 8 digit LCD display, as well as durable, large hard keys. With 4 constants and a sign change key, the calculator is both solar and battery powered. This pack contains 1 white calculator. COPYRIGHT 2017 | Xpert Office Supplies Ltd.